Why Do Millions Flock to Joel Osteen's Ministry? 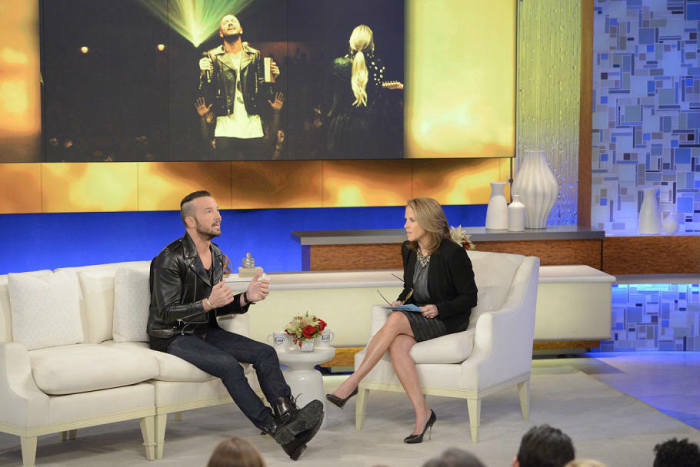 Why Is Hillsong NYC a Hit With Superstars and Millennials? 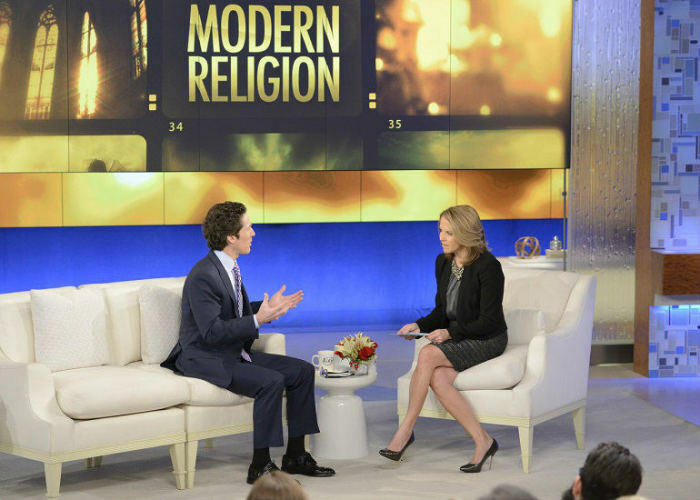 Joel Osteen, known for his best-selling motivational books and "megawatt smile," and Carl Lentz, dubbed by Details magazine as an "apostle of cool," recently sat down with Katie Couric on her self-titled daytime program to discuss the "modern face of religion in America." While both Christian pastors are popular, their ministry styles certainly differ. So what is it that draws people by the thousands to their churches – and garners Osteen millions of viewers around the globe? In a 30-second preview of Couric's "Keeping the Faith" broadcast, airing Thursday, Dec. 19, the talk show host asks Osteen why he thinks "they come" – "they" being the 45,000 worshippers who flock to his Lakewood Church in Houston, making the Texas megachurch America's fastest-growing Christian congregation. Unfortunately, the clip doesn't feature Osteen's response – it is a teaser, after all. Lentz, on the other hand, described by the "Katie" narrator as "the New York City pastor with tattoos and a rock band!" is asked how his message differs, and about his ministry philosophy. Just went it looks like the Hillsong NYC pastor is about to share his thoughts, the teaser cuts to all-male a cappella group "The Maccabeats" – who will be delivering "an anthem of hope, peace and love," according to the narrator. While Osteen "dare(s) people to believe that the best will happen to them," according to Couric, and wants them to live their "best life now," Pastor Lentz's mantra and that of his fast-growing church is "occupy all streets" – an encouragement for Christians to live out their calling as Jesus' hands and feet in whatever contexts they happen to find themselves. Lentz recently touched on this philosophy during an appearance at Pastor Craig Groeschel's LifeChurch.tv in Oklahoma, where the NYC pastor talked about embracing who he is and how God honors that. "For me, I've never really sought a particular type of person," Lentz told Groeschel. "For me, God handles what the fruit of stuff is, but faithfulness is my job. … The beautiful thing of Jesus is, he's so appealing that he'll work out the street, he'll work out what you see. But for me, I've always just tried to stay faithful to what God's called me to do and be who I am." Lentz, 34, went on to reveal that he wasn't always comfortable with being himself. "I'm kind of like not your typical pastor in some regards," he explained. "I used to be ashamed of some of that stuff, but then I realized, well I actually do get along with guys who play basketball and video games. I get along a lot better with a dude in a club than I do in a pastor's green room, being that guy. I think it's encouraging to be a part of churches like ours that champion who you are. Whatever you're good at, whatever you love, God needs you there." He added, "Pastors used to make fun of me, they used to say, 'You need to start playing golf because that's where the influencers are.' And I was like, 'Really? Well, I'd rather die than play golf.' I actually thought about that, and you know, that's just not who I am, so I'm just gonna play ball." Lentz, trained for ministry at the main Hillsong Church's college in Australia, started weekly services for Hillsong NYC in Feb. 2011 with Joel Houston of praise band Hillsong United, who is also son of the Pentecostal ministry's founding pastor, Brian C. Houston. Pastor Lentz, often described as "unconventional," holds church at a local concert venue that keeps much of its concert vibe during the six services that draw about 5,500 worshippers every Sunday. The NYC megachurch, which seems to mostly attract 20- and 30-somethings (including celebrities like Justin Bieber and Kevin Durant), has proven so popular with locals that it recently launched morning Sunday services at another concert venue in nearby Montclair, N.J. In addition to preaching positivity to 45,000 worshippers every week at Lakewood Church, Osteen, who became senior pastor after the death of his father, Pastor John Osteen in 1999, has his messages transmitted to 200 million U.S. households and countless others around the world. The Texas mega-pastor also has about 5.2 million followers across his social networks. One of his most popular tweets, re-tweeted more than 11,000 times, reads: "God will always bring the right people into your life, but you have to let the wrong people walk away." One of the top responses? – "Amen! Love your consistent positive words." Joining Pastors Osteen and Lentz on "Katie" this Thursday are: actress AnnaSophia Robb, who shares why she believes Lentz connects so well with young people and why Hillsong NYC is attractive; CNN Belief Blog Editor Eric Marrapodi; President Obama's former spiritual adviser Joshua DuBois; and correspondent for The National Journal Amy Sullivan. Marrapodi, DuBois and Sullivan will discuss Pope Francis's popularity and "the state of faith in America."